Instagram has rolled out a new feature that allow its platform users to follow specific hashtags and still follow individual accounts. 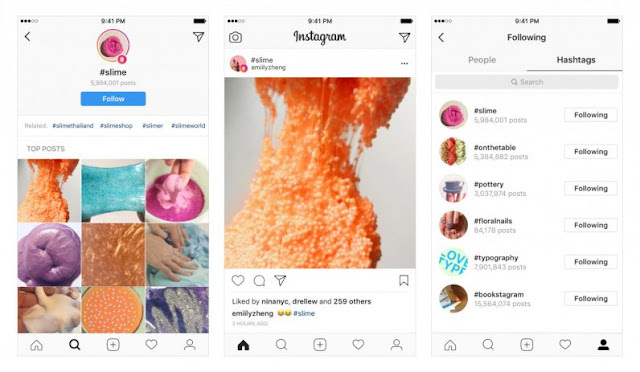 This feature which has been rolled out to every Instagram user was being tested by the company about a month ago to see how well the features works. This new feature would help users to discover more content that interests them with the hashtags. Back then, Instagram users can't use hashtags to filter contents that are of their interest, they have to view several individual posts before seeing a particular topic of interest. Instagram users who want to access this feature should tap or search for a particular hashtag of interest and then follow. The socialmedia company which is owned by Facebook has assured users not to worry of having their feed filled with hashtags posts as they said only top posts from a hashtags post would show up on their feed. In terms of privacy, Instagram said that those who set their account to private will have their feeds visible to only their followers alone.